Deirdre Kessler is very well known as a children’s author. Her Brupp books and the picture book Lobster in my Pocket are quite well known. She has been a fixture at UPEI for many years, teaching creative writing, an unbelievably popular course on children’s literature (there are usually huge wait lists), and a course unique to our island – a course on Lucy Maud Montgomery. In my recent PEI literature seminar, I had the pleasure of spending an evening with Deirdre; she has many interesting insights into Maritime literature and, as a person, is a very fascinating character. After the class, she was kind enough to give all 10 of us in the class a personally inscribed copy of her poetry collection. Afternoon Horses is Kessler’s only poetry book. It is a very personal mix of the lyrical and narrative and is, above all, incredibly intimate and personal. The collection is broken down into four sections, but the poems really fall into two categories: poems about family and poems about travelling. Deirdre’s poems about her family are some of my favorite of recent PEI literature. The second section, “Blueberries in a green bowl,” is the strongest part of the book – with the first poem, “The names of things,” being my favorite of the whole collection. I think this section was so strong because of the author’s experience as a children’s writer. Writing for children requires getting into the heads of those little people; understanding children is the essential to producing good writing for or about children. In the poems of “Blueberries in a green bowl,” the children, especially a nephew of the author, are the star. The collection takes the reader through the landscapes of PEI, Tasmania, and various remote areas of the Western US and then you’re invited into the kitchen of the Kessler family. In recent years, PEI poets have mastered what I call “the local narrative.” Poets like Kessler, Brinklow, Ledwell, and Morrow have published books (all from Acorn Press) of personal and accessible, yet literary, narrative poetry. The poems are not simply stories “chopped” into verse; they have a distinct poetic rhythm and flow. All-in-all, Afternoon Horses is an attractive, fun, and satisfying volume of poetry. I hope that another volume of poems from Deirdre Kessler appears in the near future. The poems in this collection are a mix of the narrative, pastoral, and lyrical. Reading Frank Ledwell properly requires an understanding of his style of writing. Many of his PEI contemporaries, like John Smith and Brent MacLaine are masters of technical subtlety and eclectic metaphors; Ledwell is not. His poetry is like Bon Jovi, whereas John Smith is like Rush. Rush’s music is esoteric, difficult, and almost distant in its complexity. Bon Jovi, while not the most “artistic,” is still fun to listen to and highly entertaining. If you are looking for a demonstration of technical prowess, Frank Ledwell is not going to deliver. 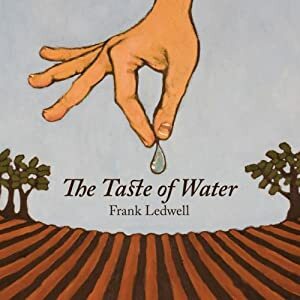 If you want to read poems that are written in “down-home” language that are accessible, fun, and convey clear and unambiguous stories and feelings, then The Taste of Water is your book. The poems in this book are largely selections from poems Ledwell publicly read during his time as Poet Laureate. Poems like “The Sweater,” “Jean Finding Things,” and “Lasagna, April ‘06” tell tales of what life is like on this little island. Family ties, communal dinners, and the comfort of Condon’s Woollen Mills’ sweaters are among the topics of Ledwell’s writing. These poems, as well as the rest of the 71 page collection, wrap themselves in the red soil of PEI. And, whether some think of this as a positive or a negative, the poems are written in a straight-forward way that anyone can enjoy. This small, beautifully designed collection is a must have. It is the kind of book that every Islander should proudly display on their coffee table. This was Ledwell’s last book before his 2008 death. Acorn Press did a fantastic job designing this book – with the exception of a weird font that does something strange with lower-case t’s. The Taste of Water, combined with Jane Ledwell’s Last Tomato, and Patrick Ledwell’s I Am an Islander would make an excellent gift to anyone that wanted a taste of Island literature. I was initially introduced to this book in my Contemporary PEI Literature course when we read a selection of five poems. What Really Happened is This is the award winning poetry memoir, and second collection of poems, by PEI writer Dianne Hicks Morrow. I was greatly intrigued by the idea of a poetry memoir and didn’t know what to expect. These poems were, for the most part, very sad; but, I do not mean that in a negative way. Instead, I mean that Morrow has opened herself up in an incredibly close and intimate way and is bearing her soul to the world during a very personal and traumatic part of life. Being a “memoir”, one cannot separate “poet” and “speaker” – the result was a heightened emotional connection with the writing. The poems “Belonging” and “What Really Happened Is This” get to the core of what Morrow is trying to do. Both poems are very personal and easily to take to heart. “Belonging,” a look back at Morrow’s feeling of fitting in and the difficulties that that can entail in Prince Edward Island, is very reflective and introspective. She looks back the little things that helped shape her, contemplates being an “Islander,” reflecting on the minutiae of human existence. And ultimately, as I’m sure happens with most people, trying to figure out where one “belongs” simply leaves more questions. The title poem, “What Really Happened Is This,” is a longer multipart poem and it is by far the highpoint of Morrow’s collection. It is absolutely heart-wrenching and will leave you pondering long after you’ve finished the book. It juxtaposes two powerful images that most people with severely ill loved ones probably go through: the person that you grew up with and love and the person who is connected to machines, surrounded by doctors, and away from home praying that they can return to who they used to be. The whole collection, but this poem in particular, really draws the line from personal tragedy to memory to reality and back again. I had the opportunity to spend a couple of hours with Mrs. Morrow and discuss her writing. She is very passionate about poetry and PEI writing. Her reading from this book really added a depth to the personal character of the poems. Every poem in this 73 page collection is a work of art – with the two I discussed above being the highlights. They physical book itself, published by PEI’s Acorn Press, is quite attractive and would look great on any bookshelf. What Really Happened is This is a quick, touching, accessible, and memorable read. This book first caught my eye because of the author’s last name, Anne Compton being the author of the award winning poetry collection Processional. After I read the synopsis though I knew this was a novel I had to read. Goose Lane has a history of putting out really good historical fiction and I am always especially interested in this genre when it is set in Atlantic Canada. 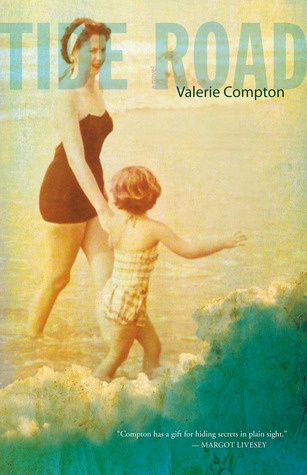 Tide Road, Valerie Compton’s first novel, takes place over the course more than 60 years, mostly in rural eastern Prince Edward Island. This story really captures a time in Maritime life when things seemed to be much simpler. Compton has created a memorable cast of characters that indiscreetly grow on the reader. This novel’s style and tone would probably be best described as subtle. The author uses punchy sentences, short chapters, and a non-linear timeline in her writing. Details are worked in so smoothly and the narration is so quiet that before you know it, the story of this tormented family is exposed and branded into your mind. Tide Road revolves around Sonia, the matriarch of a large family. We accompany Sonia through her time as a lighthouse keeper, a new mother, a widow, and beyond. Sonia’s life is shrouded by the disappearance of her oldest daughter Stella and this underlies most of the narrative. Sonia is a tortured soul. Whether it is at the hands of her family, herself, or her past, Sonia seems to be confronted with some psychological trauma around every turn. She is a tough character but also very sympathetic. This was the first historical novel set in PEI that I have read. Valerie Compton definitely knew her way around rural Island life during this period when she sat down to write this. The detail she gives on managing the lighthouse is really interesting. As a resident of this province, there was something very familiar in this book; yes, the times and technologies have changed but ultimately the relationships that people share in this type of place hasn’t really changed at all. Tide Road was a great read and Sonia will haunt you long after you put the book down. It comes out March 4 and you can pre-order here. When someone now asks me what my favorite book of poetry is I am going to have to say The Good News About Armageddon. I originally bought this book a few months ago because of the cover; I think it has one of the most eye catching cover designs I have seen. Unbeknown to me, the author, Steve McOrmond, is originally from PEI, therefore peaking my curiosity even more. The opening poem, the title poem, is perhaps one of the best poems I have read from any poet of this generation. This collection brings together thoughts that are both accessible and highly literary, examining the world around us with a painter’s eye and musician’s ear. In most of the poems in this collection the narrator seems at odds with the world around him; whether it is through some kind of sensory perception, like TV images, advertisements, newspapers, other people, or internal factors, the reader really feels that the voice behind these poems is uncomfortable in his own skin. McOrmond makes several references to current events, both political and cultural, that really shine a mirror up to our times. While the narrator does seem the uncomfortable character, he is none-the-less an observant one. The language and rhythms in this collection are beautiful. The author’s verse take on a life of their own and jump off the page. As you read them you almost feel as though you are mentally singing the poems; this is an art that has been lost on many contemporary poets. McOrmond also does a fine job of blending the narrative and the lyric. This is another trend in contemporary poetry but many poets fail to pull it off. The extended poem “Strait Crossing” is an especially good example. This is a must read for everyone, not just poetry fans. Steve McOrmond and the folks at Brick Books have done everything right with this one: amazing cover art, great quality in the physical book itself, brilliant title, and of course great poems. I foresee many pieces from this collection being anthologized and added to university and high school reading lists: the title poem, “The Tunnel, the Light”, “Test Pattern”, and “I’d Like to Thank the Academy” are a few examples. The Good News About Armageddon is definitely one of the top books of 2010.